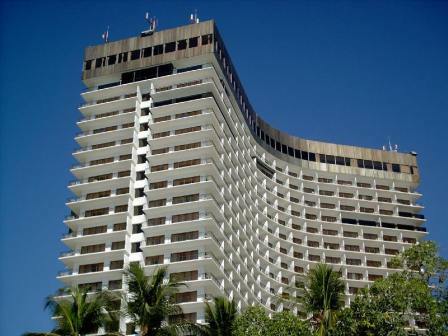 A 23 story high rise deluxe beach front resort hotel, known as having the largest hotel rooms in Acapulco, most with a large balcony, and most with a spectacular view over the splendid Acapulco Bay and it's surrounding mountains. Each of the hotel's 645 guest rooms are air-conditioned and the hotel has its own water purification system. Hotel opened in October 1971. The hotel was renovated in 1997.